Danny has been away since Wednesday morning. Before he went on his school trip we stocked up on more warm hoodies and gilets as I knew we were due another cold spell. 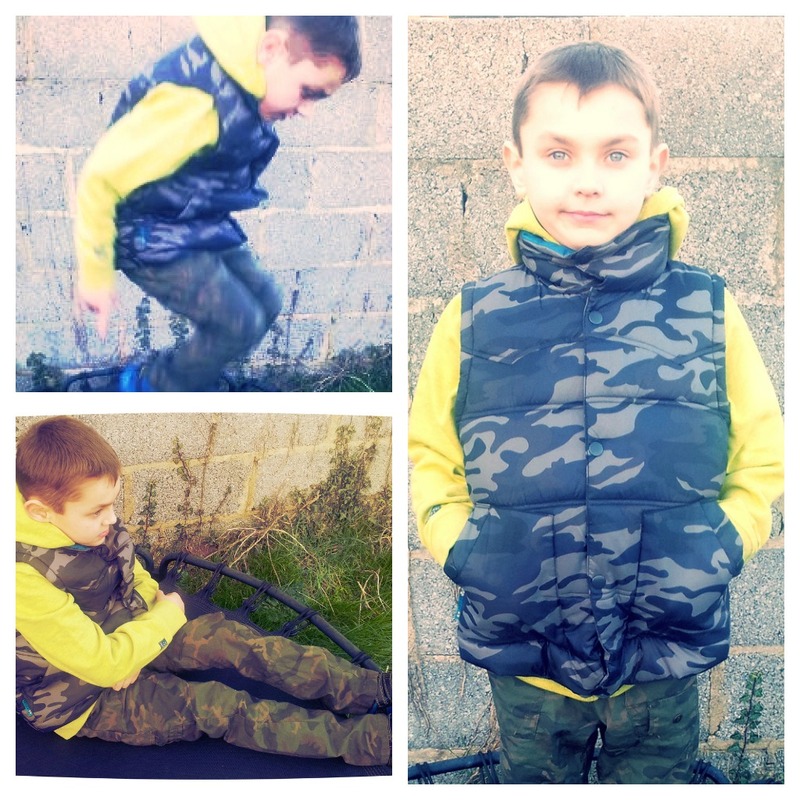 Danny loves anything to do with the Army and he loves wearing camouflage print. His camo combats had holes in them from all the crawling under nets he had done in his training (! ), so we replaced them with these Next Khaki Camo Pull on Trousers. 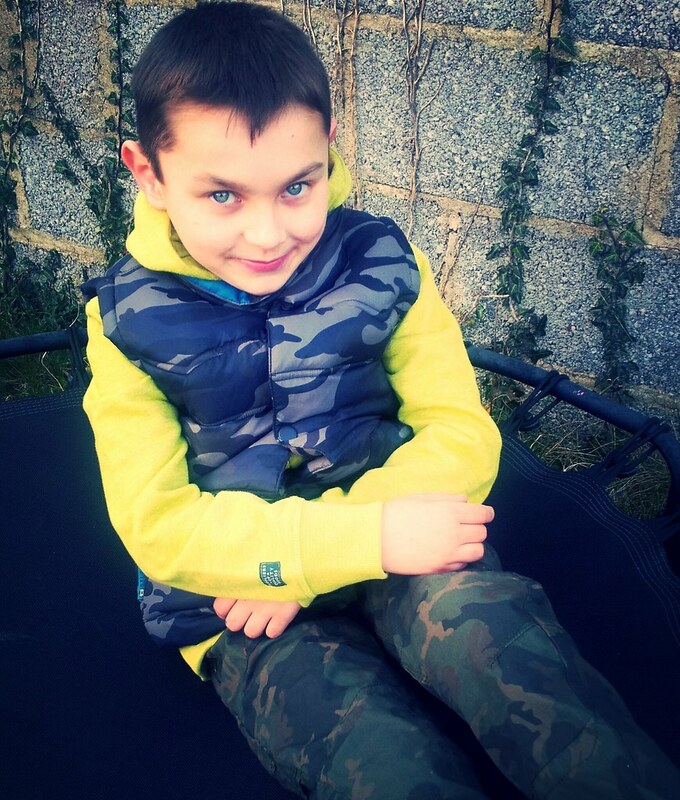 We treated him to a Next Yellow Zip Through Hoody, it is really good quality, so thick to keep him warm and the softest material on the inside. 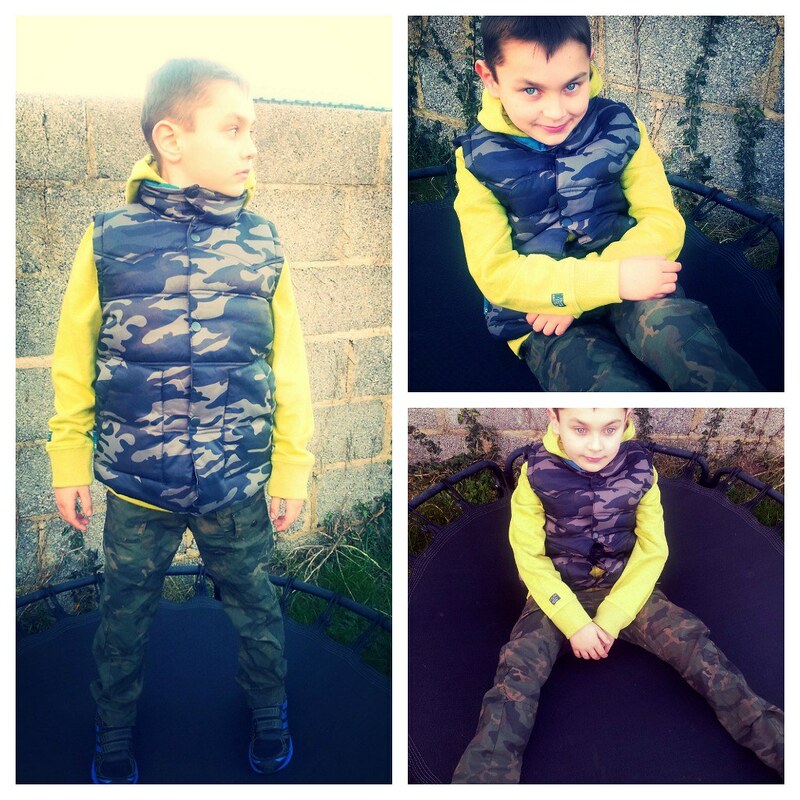 Then, he was lucky and got something he has always wanted, a Camo All-Over Print Gilet. I’m not a Gilet person myself, I’m not the right shape for them! But Danny loves them, especially this one in his favourite print, and they are perfect for keeping “Heart Children” warm. 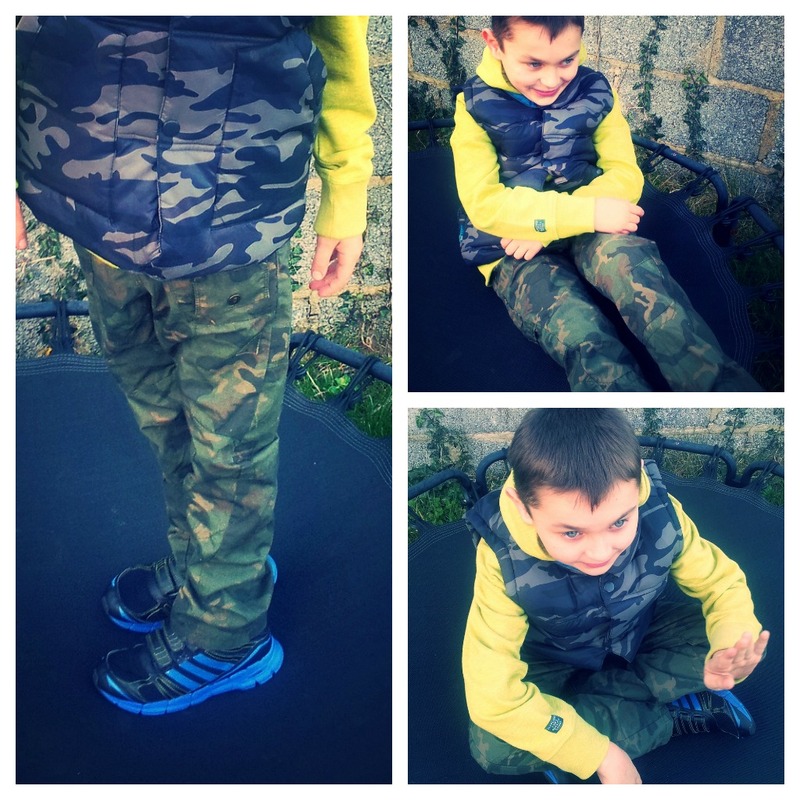 We also bought him some Adidas Adifast Blue Trainers. All the time Danny was in velcro trainers, he kept begging for lace-ups. Now he is older and wears lace ups he has been wishing for a pair of velcros again. The grass is always greener! I agreed that touch-fastening trainers would be a good idea for this weekend, as when he is tired and his hands are really cold, they will be easier to put on and take off. My only worry was that touch fasten shoes in older boy sizes would look odd but Next have nicely styled touch fasten shoes for older-boys, I like the Next Navy Suede trainers. Here he is about to leave. I must point out that I didn’t send him off with a Tesco carrier bag as his luggage! He had already put his holdall into the Luggage Hold, his rucksack was on his back, his wellies are in the plastic bag! 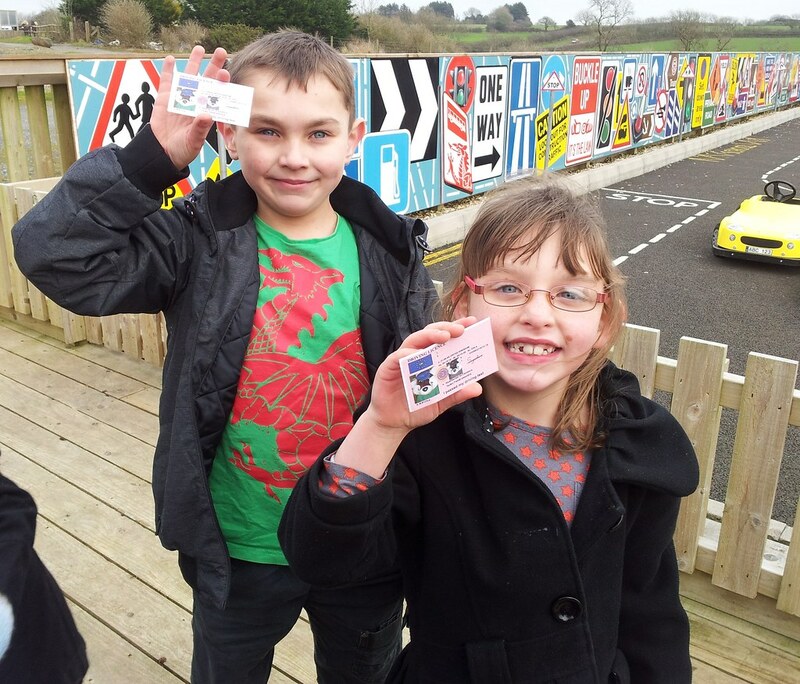 Most of the kids had bought wheelie suitcases. I wish I had packed Danny’s clothes in one of these now as it would have been easier for him to pull along rather than carry. We live and learn. He didn’t need to wear his coat on the coach, but here is the Next Grey Padded Bomber Jacket that his Nanny treated him to. Thanks Nanny! 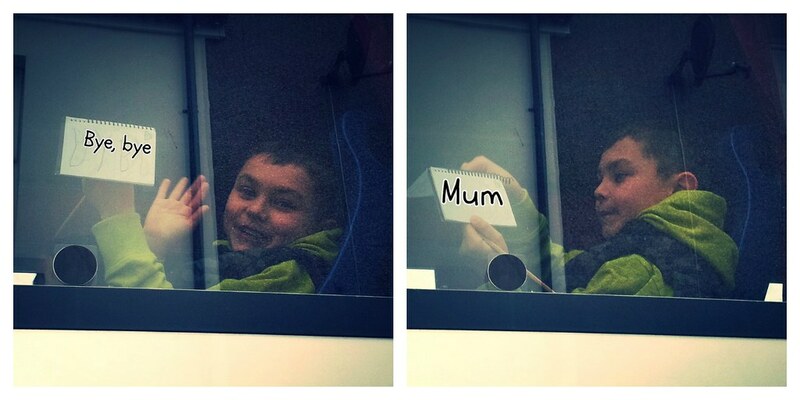 Before the coach pulled off, Danny wrote two little notes for me and held them up to the windows. I’ve edited the text so you can see them.